Anyone who bothered paying attention would have understood that this is no wholesale retreat, that all options remain open after Hamas was dealt grievous blows both to its rocket arsenals and tunnel projects. Sure, Hamas might continue to fire at Israeli civilians, but it keeps depleting its stockpiles, which it would be hard pressed to replenish. All known tunnels were destroyed although this doesn’t rule out a situation in which a tunnel or branch thereof were missed. But in all, it would serve us to remember that the IDF went in with superior intelligence and wasn’t blindly groping for tunnels in total darkness. Our forces knew where to look, a fact which attests to painstaking prior preparation and which refutes contentions that the tunnel threat was lackadaisically ignored. There are no guarantees for perfect story lines in combat zones. Where bullets fly, lives are on the line and bad things can happen to the best of soldiers. Reducing nonessential contact with the local population is therefore prudent. The ground incursion into Gaza was never intended to conquer it and expel Hamas. It was occasioned by the tunnel threat and that was neutralized more efficiently and successfully than might have been envisioned. The wails of discontent from both Left and Right arise from wishful thinking that has nothing to do with the justifiably limited aims of this phase of the fighting. Nowhere on our broad mainstream political spectrum are there outright advocates for Hamas but many on the Zionist Left want Hamas replaced with Mahmoud Abbas and his Fatah functionaries. The rationale is that we can do business with Abbas, though this hasn’t actually ever worked so far. Moreover, it was to Abbas’s care that Israel relinquished Gaza in the 2005 Disengagement and he was the incompetent who lost it to Hamas. As things stand, Abbas would be lucky to hang on to Judea and Samaria where he’s entirely reliant on Israel’s support. The notion of paying with the blood of countless Israeli soldiers just to reinstate Abbas in Gaza should be a nonstarter. The same concerns about the terrible cost in lives ought to preclude calls from the Right to retake Gaza. It‘s true that terrorism can only be controlled by actual Israeli presence or unhindered access, as experience indeed shows in Judea and Samaria. The IDF can take possession of Gaza faster than is assumed but would then have to mop up, which would inflict casualties on all sides. Deployment flexibility leaves Israel with all operational options, while it enjoys incomparably greater staying power than Hamas, its bluster notwithstanding. It is tempting to demand radical facile solutions but reality doesn’t always dish these up. It’s easy to demand comprehensive once-and-for-all overhauls of chronically dangerous circumstances but such overhauls can be deceptive, if not altogether unattainable. It is a true test of leadership to keep a cool head when emotions rage all around. It isn’t easy and it isn’t popular. Such difficulties are further exacerbated by the unique Israeli psyche. We aren’t merely a democracy but a democracy comprised more than any other comparable society of opinionated second-guessers and vocal armchair generals. Despite blatantly biased portrayals overseas, Binyamin Netanyahu’s government isn’t gung-ho or trigger-happy. Despite carping protests at home, it isn’t weak or irresolute. It has been adroitly performing a tricky balancing act between the desirable and the doable despite unavoidable battle mishaps, calumnies from implacable foes and insincere slurs from severely injudicious sometimes-allies. After a month of warfare we should take solace from the fact that official Israel has consistently been doing the right thing. That’s no mean feat. Psalm 121:4 Indeed, he who watches over Israel will neither slumber nor sleep. Such wise counsel and balanced comment: my gratitude to you, Sarah. Very incisive article which poses the question, “We’ve accomplished our objective(destroying the terror tunnels), what do we do now?” In other words, Israel has beaten Hamas militarily, but how do we make sure(or almost sure) that Hamas stays beaten? And who do we replace Hamas with, as the government in Gaza? The cost to Israel to have subdued Hamas(for which the IDF and Netanyahu’s government deserve cheers and accolades from everyone who cares about Israel), makes this no easy call. However, with all humility, here’s an idea: Perhaps some type of joint Israeli-Egyptian cooperative arrangement can be worked out for keeping the tunnels sealed, and instituting some type of military interim authority in Gaza. My shekel’s worth of advice. Toda rabah. On the other hand, it is possible to commit slow suicide, deluded by wishful thinking. If current operations have the only objective of regaining the status quo of being perpetually bombed with missiles from Gaza, as is occurring right now, then these operations are a failure. It must be admitted that the time is now or never to once and for all remove the threat of missile fire from Gaza. If Israel is unable or unwilling to do this, then Israel is not a country, it is a ghetto, existing only at the sadistic tolerance of an anti-Semitic “community” of nations. And Iron Dome is nothing more than a high tech ghetto wall. Time will tell if this is the mission or not. It is not necessary or useful to announce the planned elimination of terrorist power in Gaza, as satisfying as that would be. If your message is that a moderate voice is not necessarily the voice of moderation, then this is a agreeable. But if you are saying the job is done and it is enough, then you’ve got to be kidding. Without disarming Hamas & Company, there is o end in sight. I’m astonished at what I read. To me, Israeli political and military leadership has shown gross incompetence. After 4 weeks of war, 60++ israeli soldiers killed and an international image of the “new nazis”, Israel has achieved NOTHING!!!. 100 rockets a day continue to rain on Israel; what happened with “quiet for quiet”?? None of the Hamas leadership have been eliminated. Few of the 10000 armed terrorists have been killed. The south of Israel is now deserted. The airport was nearly shut down for 24 hrs and will likely be shutdown again in the future. The cost to Israel in loss of tourism and business is staggering. The cost of the damage inflicted by Hamas in the hundreds of millions. If this is the best the IDF can do, then you’re all dead when Iran attacks. Who in his right mind will consider aliyah when Israel puts its soldiers and civilians at risk in order to protect enemy civilians?? when rockets can land all over the south without Israel responding?, etc, etc. Even more depressing is listening to the regular israeli accepting this mishigas as normal. “there is no military solution”, “we have to give them their land”, “we can’t help this”, “the world doesn’t let us”, etc, etc. No wonder the world is full of yordim. They are voting with their feet and you guys are looking for the silver lining where none exists. Pathetic! …if the Israelis would behave like other armies there would be 35.000 killed and not 1.700, of whom 1.000 active Hamas members. We have to live with hate & prejudice. Dear Sarah, you are right, but the very fact that Israel has a decent army AMPLIFIES Netanyahu’s abysmal shallow and shaky political leadership. In short: as Benes was the traitor of Czechoslovaks in 1938, Netanyahu is the traitor of Jews in 2014! Sarah, I completely agree with your analysis. Yes Bibi did a good job, as good as it could possibly be. Israel can and must keep it’s flexibility, both in terms of military action and diplomatic tactic. To keep Hamas under the gun, without becoming dragged into the quagmire of a densely populated enemy territory, is the right thing to do from a military perspective. To refuse a foul truce, is the right thing to do from a diplomatic perspective. Zev Chafets had an opinion piece on the Fox News web site yesterday. The gist of what he said is that Israel has thus far earned only contempt from Hamas, and that Israel can’t afford to do anything less than eradicate Hamas completely. If Hamas is able to rebuild from the current “grievous blow” they’ve been dealt. (And it is a grievous blow), the IDF will have to fight them again, a year down the road. I don’t know if its possible to eradicate Hamas entirely, but can’t the IDF come very close? End Hamas as a serious threat to Israel. There must be a way to do that. Thanks again. Unfortunately, you’re right. Israel is doing the best that can be done–under the political circumstances. The question is, are there any politically viable options that lead to Israel’s continued existence and prosperity? 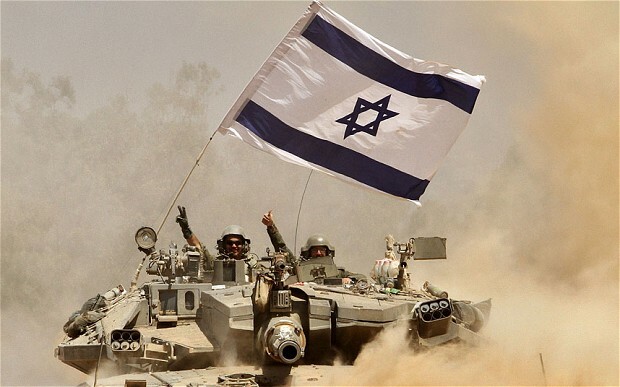 Israel is dependent on the US for supplies of ammo and equipment. That constrains your options. What is blocking Israel from manufacturing those same things? My guess is, nothing but agreements and contracts. However the right to life is paramount over the right to property. Israel has a natural right to manufacture what it needs to survive, without being dependent on a fickle and two-faced US. Red China has copied far more, in violation of intellectual property rights. Of course, I could be wrong. Perhaps Israelis don’t have what it takes to manufacture what is needed. Perhaps such an effort couldn’t be kept secret until it is realized. But if hunch is correct, this would give Israel the option of doing the right thing, surviving, even prospering. I don’t think Hamas control of Gaza is compatible with Israel prospering. Once Hamas acquires (from Iran?) the technology for smart bombs that are accurate, Iran Dome would be overwhelmed It wasn’t designed for swarms of accurate guided missiles. In that case, Gazans would have to be removed to Sinai. This would not require a land invasion. A simple seige would suffice. Israel should never have given up Sinai, in exchange for a piece of paper. If the current favorable gov’t in Egypt falls from power and is replaced by a hostile regime, that paper would be void. what do you think of inviting Moshe Feiglin to be part of critical thinking now?